Did I ever mention that I’m also in a band? 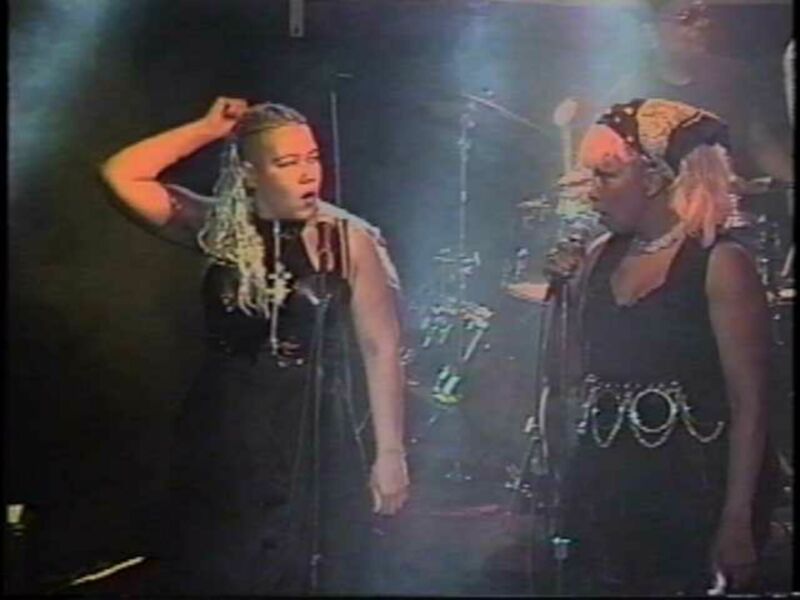 Founded in 1993 in San Francisco, California, Stagefright is an alternative rock/crossover band that combines the gothic and alt rock influences of its vocalists Sumiko and Carolyn Saulson with the reggae influences of drummer Don Geron and former bassist Prudah Walkman. Started as a family band with Scott Saulson on bass, Mangladata on Spanish Guitar, and Gunther Palmer on Drums and mother/daughter team Carolyn and Sumiko on vocals, the band has gone through a number of line ups since then, the longest running including experienced reggae and gospel bassist Prudah Walkman and Don Geron. Although Prudah has since relocated to Southern California, leaving the band, his influence remains. Stagefright’s second guitarist Donald Schrieber performed with the band between 1993 and 1996 and is returning this year for the reunion performances in October 2012. Jason Engberg and Rachel were in the 1995-1998 line up. Gino Bertinelli also played with the band for four years between 2000 and 2004. The next guitarist, Reggie, a friend and associate of Don Geron, only performed for one year in 2009, before tragedy stuck the band. Following the Juneteenth 2009 performance, both Carolyn Saulson and Reginald were diagnosed with cancers. We lost Reggie to cancer of the mouth shortly afterward. Here you can see him playing “Rockin’ in the Free World” at that Juneteenth. Carolyn developed guillan-barre, an auto immune disorder that attacks the peripheral nerves, during the period of time when she was being treated with aggressive chemotherapy for her multiple myeloma. As a result, she lost some mobility, although her cancer went into remission. During this difficult time, when the band was unable to perform due to all of the tragic events mentioned above, Carolyn and Sumiko went into Rappin 4Tay’s studio with his engineer Bootsy and performed this haunting rendition of “I am Stretched on Your Grave” with the beat by the Amazing GRwY. ~ by Sumiko Saulson on September 21, 2012.